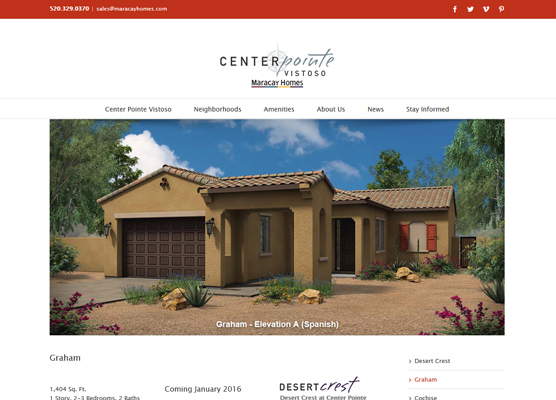 Etainia designed and managed Maracay Homes’ main website at MaracayHomes.com through 2016. 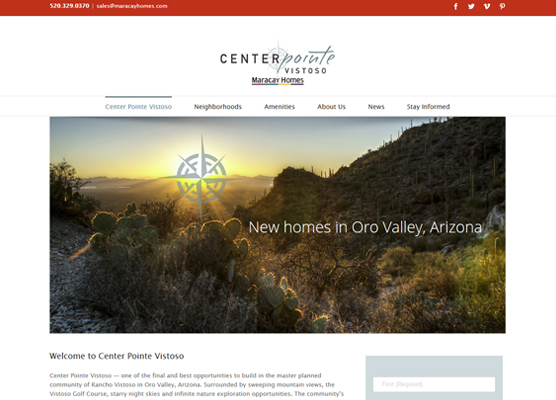 When presented with company’s first foray into launching a full master-plan community on their own in the hills above Tucson, etainia proposed a dedicated website for the new community – linked from the main website, but with room to showcase the lifestyle options and community amenities of Center Pointe Vistoso. 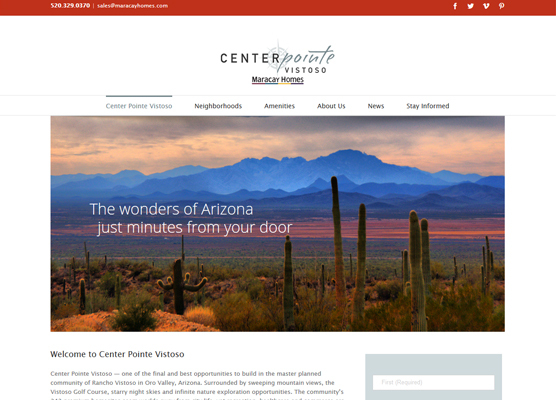 The new site launched October 1st, 2015 in preparation for the grand opening of the community in January 2016. 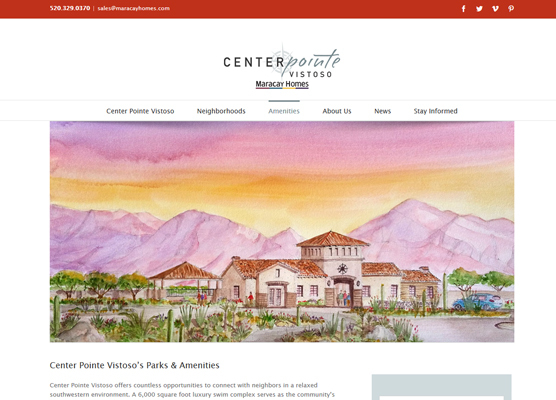 In addition to neighborhood specific pages, each neighborhood contains the individual pages for each plan where potential buyers can view interactive floorplans, location maps along with the plans various exterior options shown in super-real renderings. 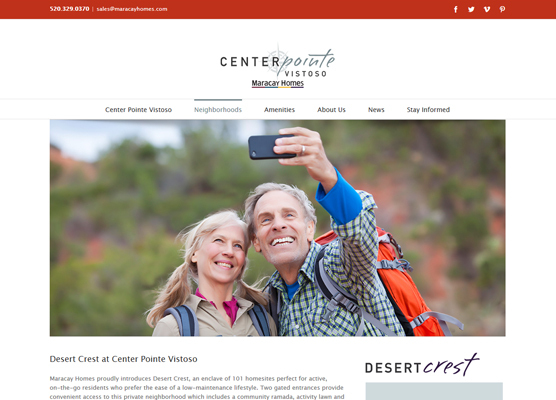 The micro-site helped accelerate their sales to an all-time company record pace which ensured the community would be a success.